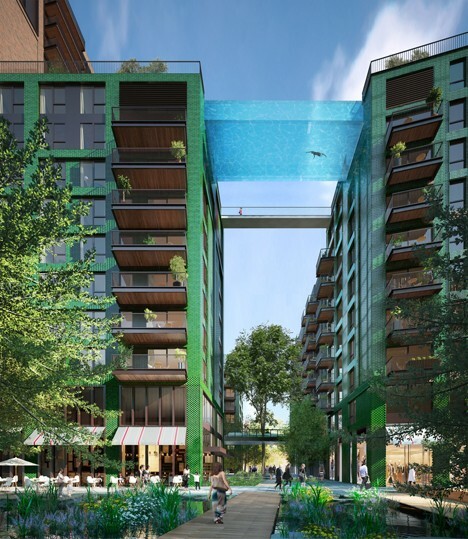 Designed to span over 80 feet and connect a pair of apartment structures in London, this remarkable see-through glass pool will give swimmers the ultimate view of the city on all sides. This record-setting, first-of-its-kind creation reflects recent advances in material science and structurally engineering. 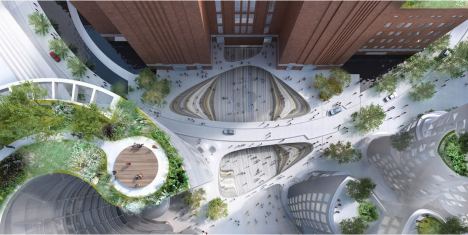 In addition to this dazzling connector, a secondary bridge will allow people to walk between roofs, accessing other amenities including a bar and spa. 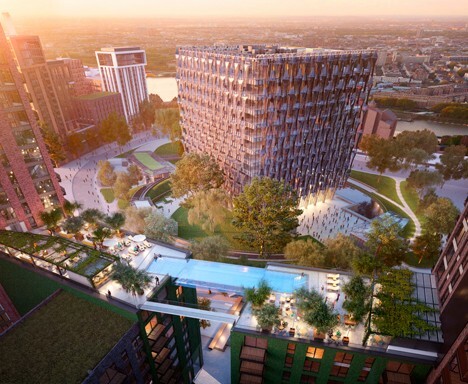 Unlike many deceptive architectural renderings, this audacious structural design has already received planning approval – the real-life version coming in 2017 will indeed be as shown. 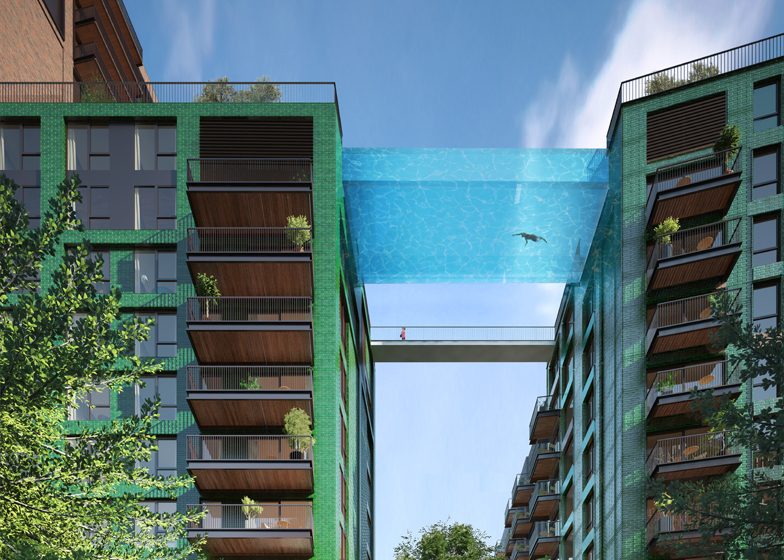 Developed by Arup Associates in collaboration with project architects of HAL, this water bridge will be 15 feet wide and 9 feet, framed in thick but transparent glass on three sides. Aquarium specialists and engineers were consulted throughout to ensure the safety of the endeavor. 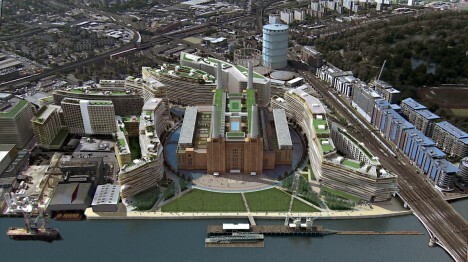 This residential project is part of a larger overhaul being orchestrated by Frank Gehry and Foster + Partners, a master plan which includes eight other major architectural features and renovations surrounding the historic Battersea Power Station. 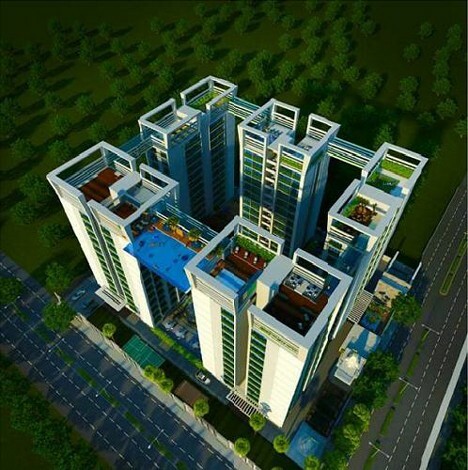 Meanwhile, in India, a similar undertaking is underway. 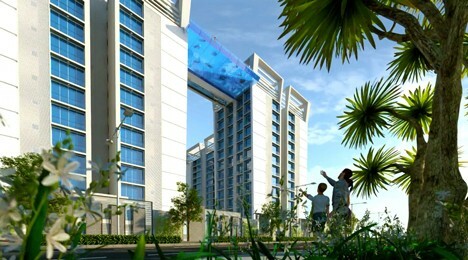 The pool designed for the Twilight Star development in Surat, Gujarat, has a shorter span but a bonus feature: it is cantilevered out beyond the edges of the buildings it connects, providing an additional thrill for those willing to take the plunge.